are made with love and care. We use the best and finest yarns to complete each project. LionBrand's yarn is our most commonly used yarn because of their quality and variety of selections to choose from. Each stitch is made with love and care for both our work and your finished product. Our work is guaranteed. And for any reason if you are not happy with your product, we will gladly refund your money. Many of the items are made from pre-designed patterns that are fun to create as well as enjoy. From time to time, special projects will be outsourced to a team of skilled knitters and crocheters who are more familiar with a particular stitch design. This ensures a high quality finished product. 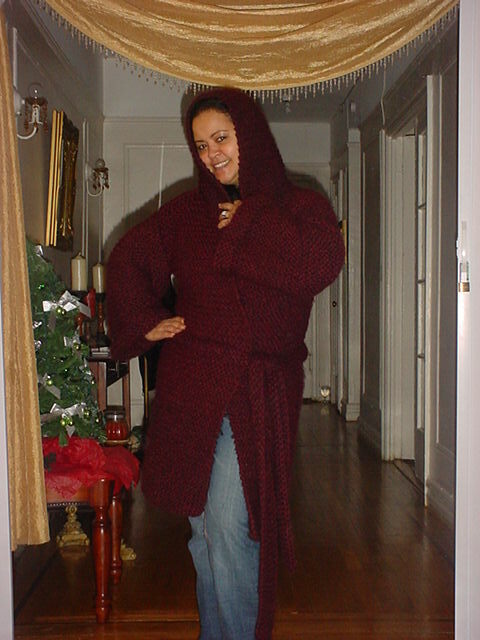 Here are photographs of just a few hand crochet or knit items created for others. 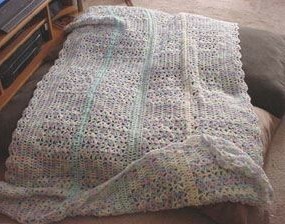 This is a standard crochet shell pattern blanket created with Baby Rainbow yarn. 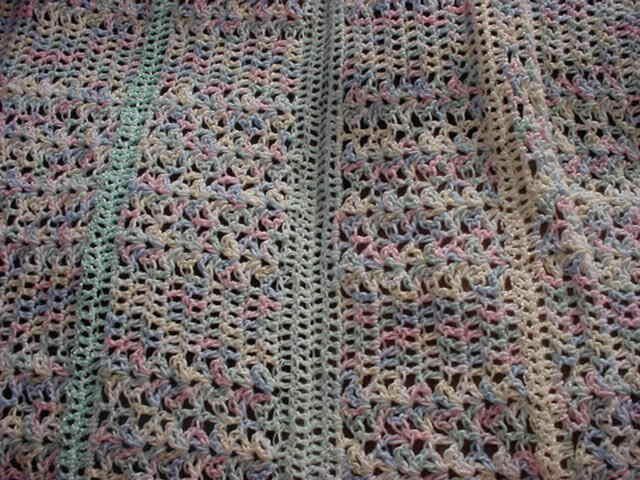 Different yarn colors were used in divider rows. This item can be made with 1 solid color, 2-3 solid colors or multi-color yarn, or combined with multi-color and solid color yarn. A stylish and timeless coat that is very soft, thick, comfortable, and extremely warm even in low, frigid temperatures. All the comforts of wool and is easy to care for. 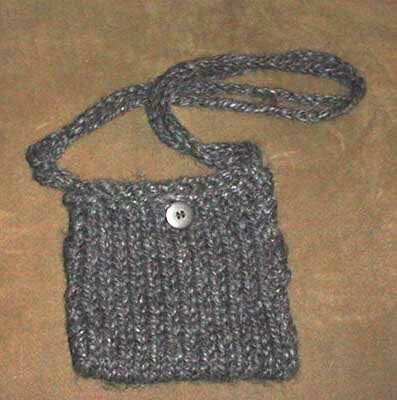 This hand knit shoulder bag is a cross shoulder bag with double straps, perfect for day or evening use. It's 7 inches long and 7 inches wide. This bag is great for most all yarn types, for both summer and winter fabrics. 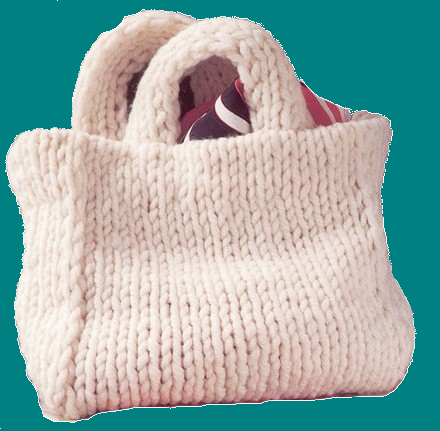 This hand knit tote can be made in a variety of colors. It is durable and is a classic and stylish accessory. 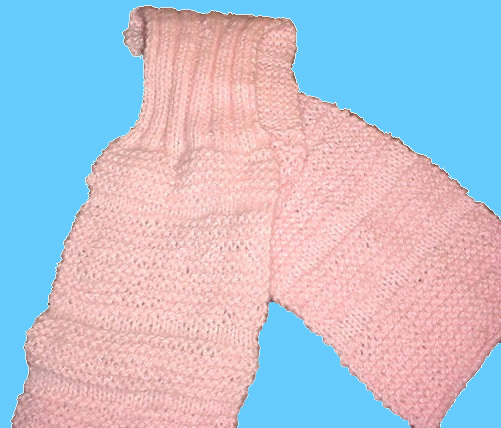 Our crochet and knit scarves and hats are very warm and help cover vulnerable areas during freezing temperatures. 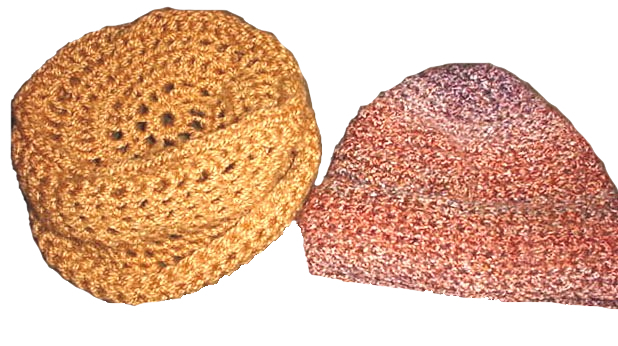 Crochet brimmed/cuffed hat (top & left) can be worn rolled up or flat to shade eye area. 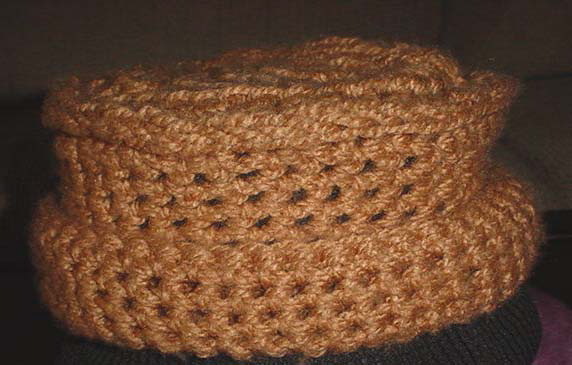 Boucle yarn with this style creates a stylish and full coverage hats. 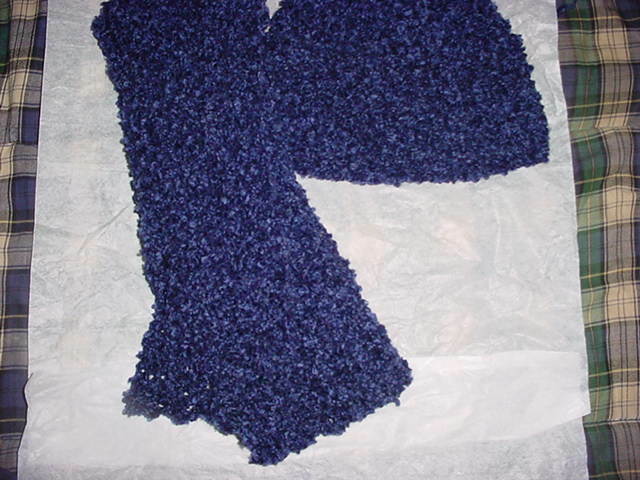 A red/black mixed color hand knit ribbed scarf was made for a member of FDNY's Engine 54 shortly after Sept. 11. This crochet scarf and hat set was made with Boucle yarn, which provides an extra level of warmth and protection of vulnerable face and neck areas in freezing temperatures.